This is the commonest of the three Irish representatives of this mainly tropical genus. 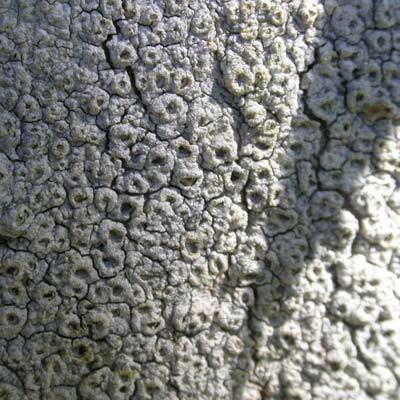 In T. lepadinum the raised discs resemble barnacle-like warts scattered over a shiny, pale, grey-cream crust. 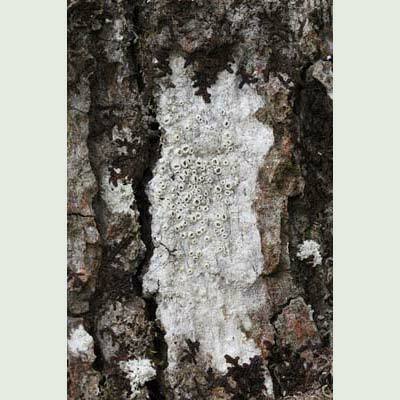 It can be found mostly on the smooth bark of trees where there is a history of continuous canopy cover, but can also spread to rock. 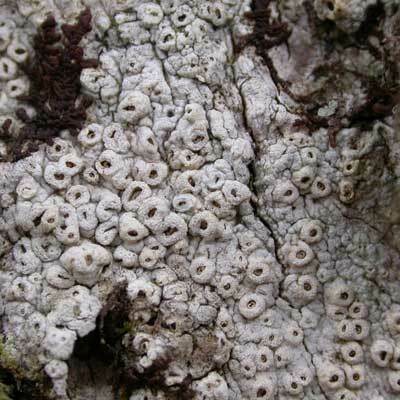 The discs are pustules, barnacle-like in appearance, with pore-like openings. Simms, M. J., (2016). 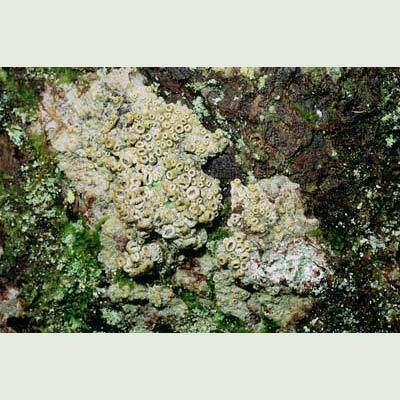 Thelotrema lepadinum (Ach.) 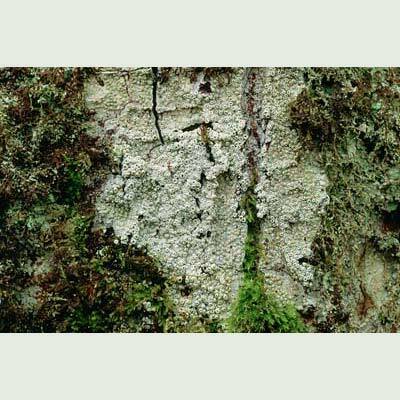 Ach.. [In] LichenIreland.